Jews have contributed to humanity in many noble ways – from science to art and culture. 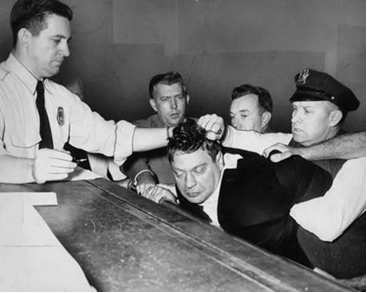 But with Yom Kippur upon us, and the spirit of remorse, we should also mention those who made less admirable contributions – some of the biggest Jewish criminals of all time. 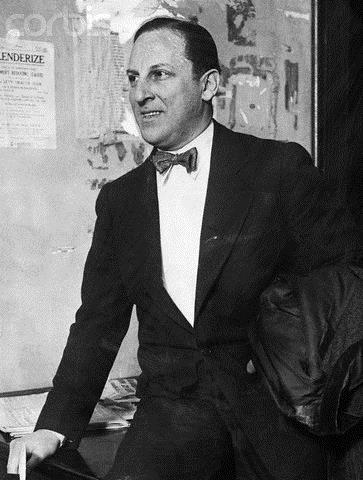 Arnold Rothstein, nicknamed “the Brain”, was a Jewish-American racketeer, businessman and gambler who became a kingpin of the Jewish mob in New York City. Rothstein was widely reputed to have organized corruption in professional athletics, including conspiring to fix the 1919 World Series. His older brother, on the other hand, studied to become a rabbi. 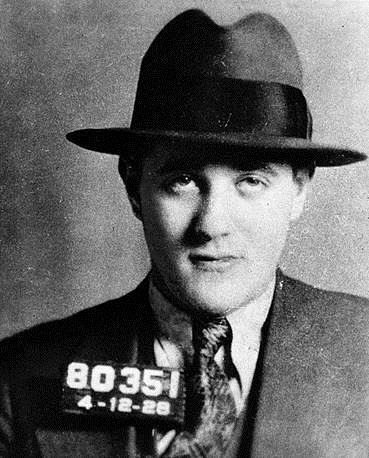 Benjamin “Bugsy” Siegel was a Jewish American mobster. 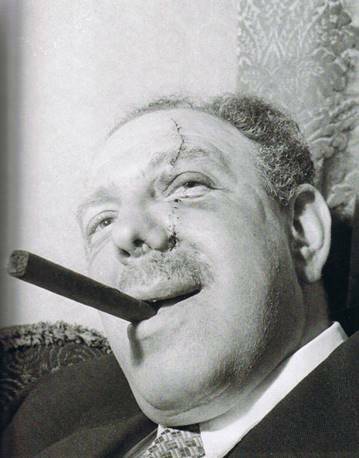 Siegel was known as one of the most “infamous and feared gangsters of his day”. Described as handsome and charismatic, he became one of the first front-page celebrity gangsters. He was also a driving force behind the development of the Las Vegas Strip. Siegel was not only influential within the Jewish mob but, like his friend and fellow gangster Meyer Lansky, he also held significant influence within the Italian-American Mafia and the largely Italian-Jewish National Crime Syndicate. 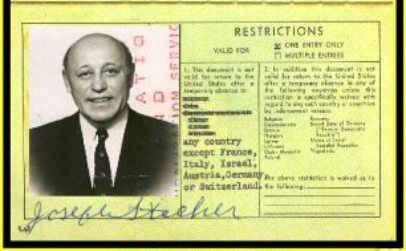 Joseph Stacher (alias Doc Stacher, Joseph Rosen, Doc Harris el al) was a Jewish syndicate leader who helped Meyer Lansky organize a conference of Jewish organized crime leaders at the Franconia Hotel, which later would see the alleged merging of the Jewish and Italian Mafia into a national crime syndicate. Running West Coast and Caribbean gambling operations for Lansky during the 1930s, as well as becoming a silent partner of movie studio Columbia Pictures in the late 1930s, Stacher would later supervise gambling in Las Vegas, Nevada, particularly the Sands and Fremont Casinos. Jack “Spot” Comer was an English gangster. Born Jacob Colmore in Mile End, London the youngest of four children, Comer’s father was a Jewish tailor’s machinist who had moved to London with his wife from Lodz, Poland in 1903. At age of seven Jack had joined his first gang, which was made up of boys from the Jewish side of Myrdle Street who fought their Catholic rivals from the other end of the street. “Spot” Comer claimed to have taken part in the Battle of Cable Street. In his version of events, Spot and his mob charged into the fascists with full power injuring as many Blackshirts and police as possible. 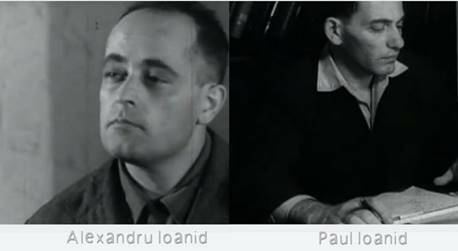 The Ioanid Gang (Romanian: Banda Ioanid) was a group in Communist Romania named after two of its members, Alexandru and Paul Ioanid. On 28 July 1959, they carried out the most famous bank robbery in a Communist state. The case was investigated by the Securitate, the secret police, and the supposed perpetrators were arrested within two months. They were rounded up in night-time raids, tried behind closed doors, and all but one sentenced to death. The executions, also kept under secrecy, including for family members, were carried out in 1960. Monica Sevianu, the only woman involved, had her sentence commuted to life imprisonment because she was a mother of two. Also, in 1964, she was released through an amnesty for political crimes, and emigrated for a second time to Israel in 1970. Harold “K.O.” Konigsberg, also known as “Heshy” and “Kayo”, is a legendary Jewish hit man and mob associate who was sentenced to life in prison for murder. Konigsberg’s colorful mob life was chronicled by his nephew Eric Konigsberg in an article in The New Yorker and a book entitled “Blood Relation”. Konigsberg first became involved in organized crime working for New Jersey mob boss Abner “Longy” Zwillman, he became one of the crew’s most prolific hit men. Konigsberg was described as a troublemaker from the beginning, “a malevolently wild creature in a house full of Sabbath-keepers”. After being taken under the wing of Zwillman — the so-called “Al Capone of New Jersey” — Konigsberg became a violent and feared racketeer in Jersey City and Manhattan. Meyer Lansky, known as the “Mob’s Accountant”, was a major organized crime figure who, along with his associate Charles “Lucky” Luciano, was instrumental in the development of the National Crime Syndicate in the United States. 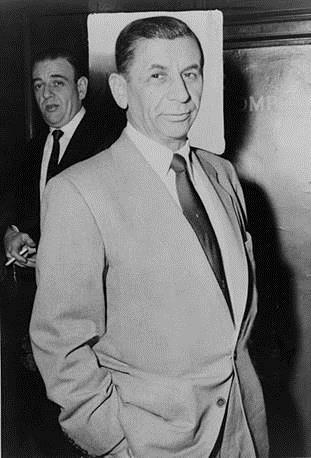 Associated with the Jewish mob, Lansky developed a gambling empire that stretched across the world. He was said to own points (percentages) in casinos in Las Vegas, Cuba, The Bahamas and London. Although a member of the Jewish mob, Lansky undoubtedly had strong influence with the Italian-American Mafia and played a large role in the consolidation of the criminal underworld. The full extent of this role has been the subject of some debate, as Lansky himself denied many of the accusations against him. 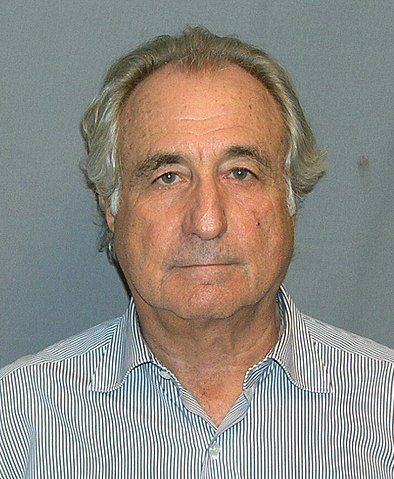 Bernie Madoff is an American fraudster and a former stockbroker, investment advisor, and financier. He is the former non-executive chairman of the NASDAQ stock market, and the admitted operator of a Ponzi scheme that is considered the largest financial fraud in U.S. history. Prosecutors estimated the size of the fraud to be $64.8 billion, based on the amounts in the accounts of Madoff’s 4,800 clients as of November 30, 2008. Madoff pleaded guilty to 11 federal felonies and admitted to turning his wealth management business into a massive Ponzi scheme. The Madoff investment scandal defrauded thousands of investors of billions of dollars. Madoff said he began the Ponzi scheme in the early 1990s. However, federal investigators believe the fraud began as early as the mid-1980s and may have begun as far back as the 1970s.